While most see an Ice Cream shop as a place of smiles, flavors and....mmmm....Ice Cream, the owners of these shops aren't always so happy. Keeping track of the numerous flavors, freezer temperatures and expiration dates can get employers heated enough to melt their wares. Luckily, these owners can hire just one employee to put all these worries at ease. That employee is an Ice Cream Shop POS System. The above line isn't just a metaphor. An Ice cream shop point of sale solution can actually take the place of multiple employees, with far less errors, a lot more efficiency and will do all task in much less time. While most POS systems can be configured to complete some of these tasks just as well, a custom Ice Cream Shop POS System is specifically made for your shop. Inventory Management: It's obvious that the system should be able to receive all of the ice cream stock in it's databases, and even variations for flavors and sizes. However, owners often overlook the fact that expiration timers can be set, reordering procedures can be configured and alerts can be set to warn of low stock. 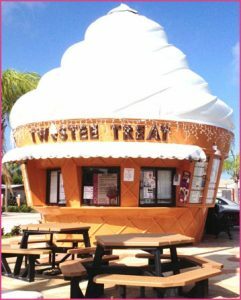 not only is the system made for ice cream shops, it can be further tailored to the owner's specifications. Customer Satisfaction Modules: Getting customers is only part of a successful business. Acquiring returning customers is where real success lies and the POS system is made to keep customers happy. Loyalty programs can be implemented to not only reward customers for continual purchases but can also help teach the system the sales trends of your guests. Some POS configurations can also convert the system into a kiosk, allowing customer to make their own orders and in some case even create new flavors! With add-ons like Digital Menu Boards or Gift Cards, this POS system can change an Ice Cream Shop into a favorite atmosphere for frequent customers. 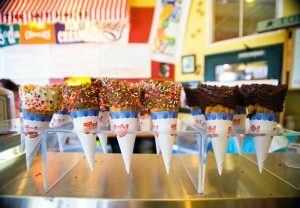 With employee capabilities like time cards and facial recognition capabilities, the POS System can effectively run an Ice Cream Shop as if it were multiple employees! However, it still doesn't know how to smile.....yet, so some employees are still needed. 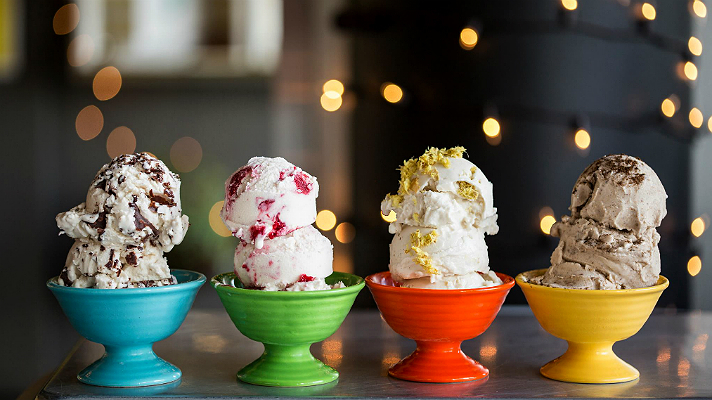 When the weather gets to hot, Ice Cream Shops don't need to advertise their wares much, as they are in high demand, however, with a reliable Ice Cream Shop POS System, owners wont have to wait for heat to be thought about.